Today's Special item is the Narnia Poster! The Chronicles of Narnia is a series of books by C. S. Lewis. 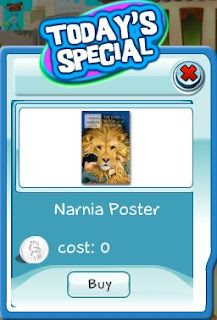 Be sure to check out Narnia in SecretBuilders, get some more Narnia items and enter the contest.